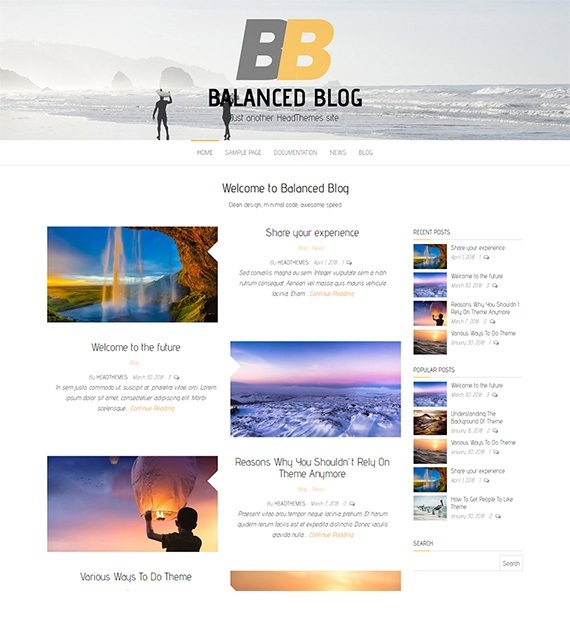 Balanced Blog is a Free Responsive Blog Theme that offers exceptional features for your blogging site. It is WPML, translation and RTL ready which are essentials for a globally successful blog site. This theme lets you customize as you wish supporting custom header, logo or background. Not to mention, it is very lightweight, fast and SEO-friendly. If you’re planning to start a great blogging site, this just might be the best choice.